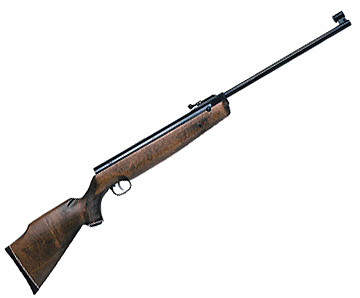 The Beeman R1 carbine is a powerhouse among spring-piston airguns. Whether you plink, pop paper targets or hunt critters, the R1 fills the bill. The R1 carbine's beech stock sports a checkered grip and forearm. All the steel has been carefully and expertly machined to make sure your rifle functions flawlessly. This gun will become an heirloom. 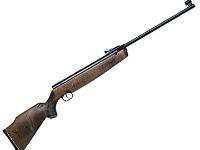 Rated at 860 fps in .20 cal., that's just right for most shooting disciplines, including hunting. The carbine comes with adjustable sights, but hunters will want to add a scope to experience the built-in extreme accuracy. The deep dovetail grooves ensure that your mount and scope remain intact through years of use. Don't forget to pick up a variety of recommended pellets, which are listed in the AMMO link. Select appropriate accessories, including targets and a hunting scope, by clicking on the ACCESSORIES link. A great all-around gun for field target, pest elimination (very small critters), plinking and paper targets.